The Real Housewives franchise has been a huge reality hit since the debut of The Real Housewives of Orange County in 2006. A decade later, the Bravo formula has nine spin-offs in multiple cities. Even though the show is spread out from the O.C. to NYC, and to some place called Potomac, they all have one thing in common: drama. Real Housewives fans have come to expect epic fights (remember that table flip in New Jersey? ), designer duds, and million-dollar mansions, but not everything we see on the show is reality. Just how real is this "reality" show be? As authentic as it can be after several takes. The cast and crew of The Real Housewives of New York City have been spotted shooting the same scene over and over until they get it just right. During filming, the crew reportedly cues the ladies when to start rolling, when to cut, and even when to walk and talk! Although photos near the set typically aren't allowed, Radar Online snagged some pictures that prove just how similar being a housewife and being an actress may be. "It was extremely contrived and set-up," one source said. "It lacked all spontaneity and any semblance of reality. I joked to the people that I was with that The Real Housewives of New York are the unreal Housewives of New York!" Everything about this sounds more like the set of a motion picture than a reality show. Teresa Giudice of The Real Housewives of New Jersey has dealt with some very real (and very public) criminal charges. During her and her husband's fraud trial, the couple also came clean about their reality show. In court documents (via Deadline), the pair was quoted saying the show was, in fact, a fallacy. During an appearance on Watch What Happens Live, host Andy Cohen read from the aforementioned documents: "The image is little more than a carefully crafted fiction, engineered by Bravo TV through scripted lines and clever editing," he said. Cohen then asked Giudice to clarify, and she did her best backpedaling in response, saying she meant "there are editors on the show. There are producers." That sounds like a cop out, particularly considering Cohen also happens to be one of the Real Housewives producers. 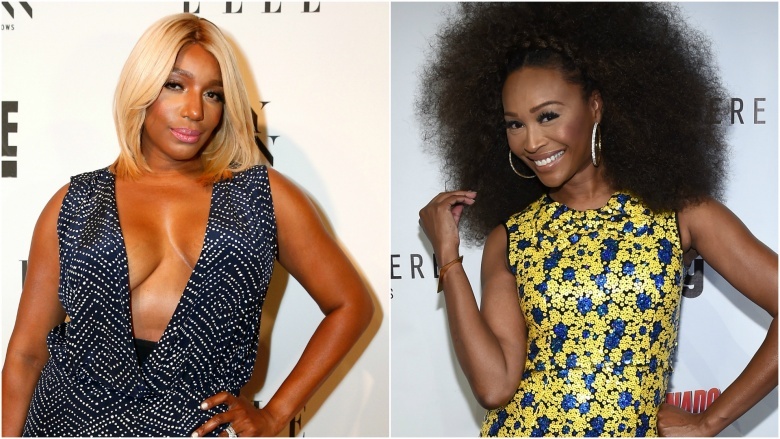 In 2014, during The Real Housewives of Atlanta reunion, co-stars NeNe Leakes and Cynthia Bailey got into a heated argument about an episode where Leakes called Bailey's husband a "damn b***h." Bailey said her co-star was out of line, but Leakes wasn't having it. After the reunion, Leakes took to social media to post an alleged text thread between herself and Bailey where they discussed that infamous scene prior to shooting it. "Change of plans for the scene. Not going to do the b***h thing with Greg. I thought it would be funny but I really don't want to call him out of his name. Even as a joke," Bailey apparently said. Leakes eventually removed the post, but the damage was done (and Radar Online snagged a screenshot). If the texts are true, that entire fight was a farce! Amber Marchese was one of the housewives on the sixth season of The Real Housewives of New Jersey. 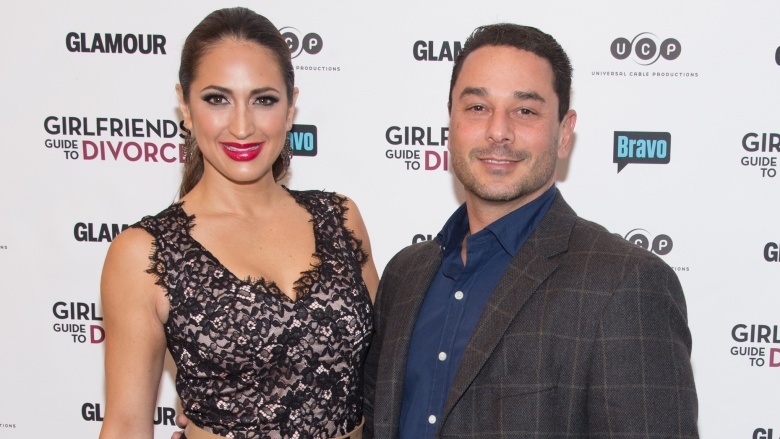 Her husband, James Marchese, also appeared on the reality show and now wants fans to know the series is not reality at all. James told Rumor Fix none of the other stars are talking about how fake it is because "if they do, "they have to pay $1 million." Lucky for us, he didn't sign that contract and is spilling the beans! "The show is not about being liked, it's about entertainment," he said. "Nothing about the show is real, and people don't understand that. Andy Cohen has claimed the show is not edited but it is completely fake! We are all actors!" The ladies of the Real Housewives run their own blogs to discuss the show with their fans. Tamra Judge of The Real Housewives of Orange County has attempted to use her forum to call out the network when something she sees is fake. When one of Judge's rants was reportedly deleted from her blog, she took to Facebook to let her voice be heard. During one of the episodes, Judge was apparently missing a party to take care of her sick daughter, but she allegedly wasn't allowed to tell anyone what was going on so the show could make a story out of her "rude" behavior. Judge wrote on Facebook, "Here are a few facts that I am sure Bravo will take out of my blog…They waited until we were up in the limo to let Lizzie know [I was skipping her party]. They had her call me and say, 'How rude that you didn't call me.'" This isn't the first time Bravo has been accused of pulling punches. Eddie Judge, Tamra's husband, claimed the story about his wife wanting another baby was completely untrue and orchestrated just for the show. A prerequisite for being on any of the Real Housewives renditions is money! These ladies of leisure lead lavish lifestyles, or so it seems. Bethenny Frankel of The Real Housewives of New York set the record straight about finances on the air with 95.5 PLJ. She estimated that "about 75 percent" of the franchise's stars were living beyond their means. Jacqueline Laurita has reportedly faced crippling debt, Leakes owes nearly $830,000 in taxes, and Sonja Morgan filed for bankruptcy. It seems Theresa and Joe Giudice, who were sentenced to prison on conspiracy and bankruptcy fraud charges, may not be the only reality stars who aren't as wealthy as they seem. Vicki Gunvalson's ex, Brooke Ayers, may have pulled off one of the biggest lies ever on reality TV. Ayers was introduced to The Real Housewives of Orange County fans in Season 7 as Gunvalson's love interest. The couple had a tumultous, on-again, off-again relationship, but things got extra dramatic when they claimed he was diagnosed with cancer in 2015. The remainder of the season revolved around whether or not Ayers was truly sick, with some housewives (and a psychic) not believing it. It wasn't until the show's reunion special, that Gunvalson said she was "duped" by Ayers and admitted her "gut" said he was faking it. Ayers maintained he was ill, telling E! New, "Unfortunately, I wish it wasn't true. It would be a lot easier if I didn't have cancer just to be honest with you. The daily grind, the routines of reminding yourself that I'm sick and I need to do certain things and not do certain things." 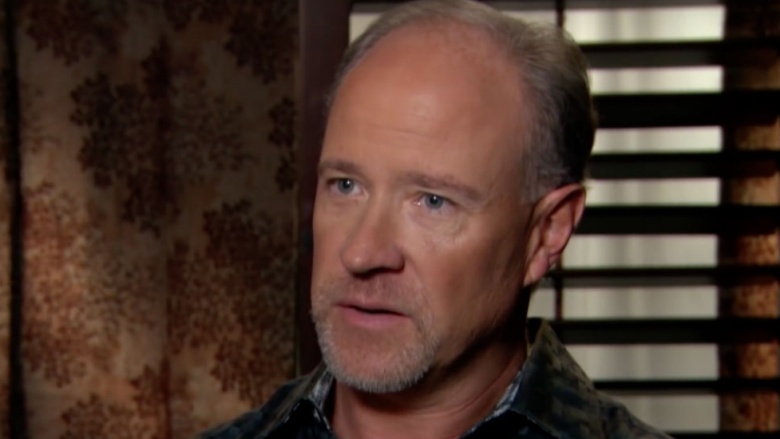 His supposed cancer center eventually spoke out and said he'd never been treated there, and Bravo producer John Hill said, "I wouldn't be surprised if [Ayers' cancer diagnosis is] fake…" The season's biggest storyline may have been a sick lie. The crew and producers of Real Housewives may be behind the camera, but they're actually right in the middle of it all. Sources for Radar Online claim camera operators tell the cast when to stop, start, and repeat scenes. Producers allegedly help fuel the fire by asking questions that antagonize arguments. Fans can see that play out when producer Cohen, in what seems like a conflict of interest, interviews the shows' stars for his late show and post-show interviews. Cohen expertly drives the conversations toward argumentative topics while managing to stay away from issues that could prove the show's lack of authenticity. Reality or not, we'll probably keep tuning in, season after season, for the drama-filled fun.